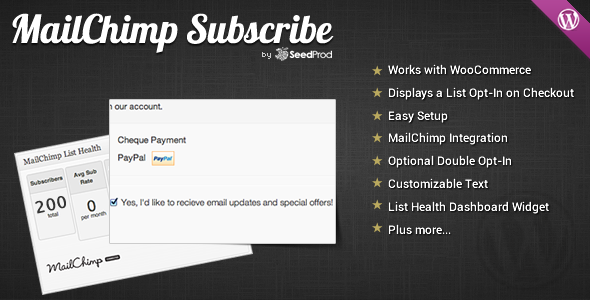 The SeedProd WooCommerce MailChimp Subscribe WordPress plugin displays a newsletter signup checkbox on checkout for WooCommerce integrated with MailChimp. Also includes a MailChimp List Health Dashboard Widget. Share the post "WooCommerce MailChimp Subscribe"